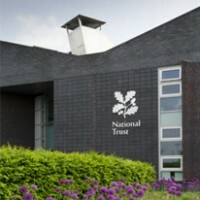 This £13m development was commissioned by the National Trust following its decision to amalgamate 3 main offices to form a new headquarters located in Swindon. The two storey 71,268ft² mixed use building comprises of: 66,221ft² office accommodation, 2,561ft² atrium, 2,486ft² reception area incorporating shop area and 150 cover Café Restaurant. 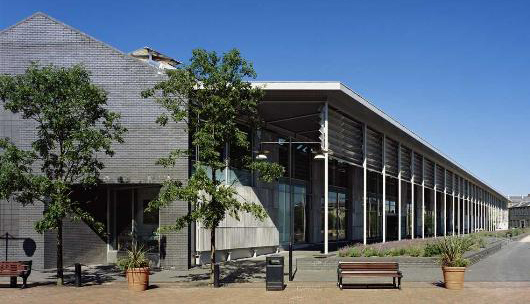 The facilities also include a Workshop and conservation area, IT and Print facilities, and a Library. Located within the Great Western Railway area of Swindon the building is constructed using an engineering brick to blend in with surrounding historical buildings. In keeping with sustainable building principles and to maximise daylight and natural ventilation, the building faces south and is part-glazed. Solar panels feature on the southerly roof pitches with glass north facing slopes allowing full daylight into the offices. A series of ‘snouts’ along the roof draw air into the building, while vents and opening windows ensure greater control over fresh air and temperature in individual zones and throughout the overall space.